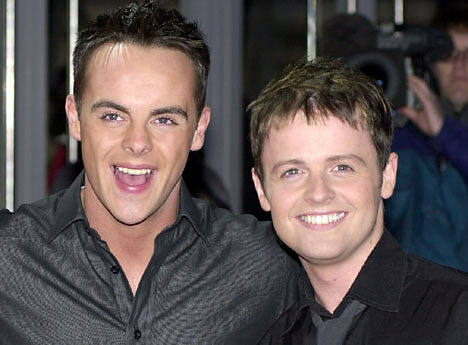 A poll published last week revealed that Ant & Dec were the most watched TV hosts of 2007. Runner-up in this pointless exercise was Dermot O’Leary, followed by Phillip Schofield, Gary Lineker and Tess Daly. What I find totally needless here is the assumption that people were switching on simply to watch these people. Yes, Ant & Dec are a big draw, but I’m A Celeb is as much about the contestants as it is about them, no matter how funny their links are. For Dermot, rewind 12 months and substitute Kate Thornton. Dermot’s a lovely guy, don’t get me wrong, but you could pretty much put any competent presenter at the helm of X Factor and it wouldn’t really suffer. For me, the one person who really deserves to be on this list is Pip, himself, Mr Schofield. you turn on This Morning because he and Fern are so good. OK, so Philip’s position also owes a lot to the horror that is Dancing On Ice, but he is someone people actually enjoy watching. Gary Lineker and Tess Daly are no less pointless additions to this list. Tess is a kind of stooge on Strictly Come Dancing and, personally, I believe the judges are one of the biggest draws of the show. As for Lineker… I reckon the audiences would be even bigger if Adrian Chiles took over.